Floating is a powerful “non treatment.” A friend and colleague in the float industry recently shared an interview she did with a reporter. She emphasized that floating is not a treatment. The reason is because when a person experiences a treatment, something is being done to them. However, when floating, nothing is being done. In fact, floating is the ultimate Not Doing. When the stimuli of light, gravity, sound, and changes in temperature are eliminated or greatly reduced, the body and mind must deal with all the lack of stimuli. For the first 10-15 minutes, people might find it strange because they are accustomed to being “treated” by the stimulus of noise, light, etc. However, eventually the mind gives in and slows down. In biology, there is a term called homeostasis. It literally means “same state” or “one state.” It implies that a living thing always seeks to bring the body and mind into a balanced state. If the body gets hot, for example, a person sweats in order to cool the body and keep the same internal temperature. However, habits get in the way of homeostasis. Brain plasticity research has a fundamental tenet which states that the neurons that fire together also wire together. It means that if someone is accustomed to slowing down and taking good care of themselves, it becomes a habit. However, it also means that if someone is accustomed to being in pain, or being stressed or frustrated, that also becomes a habit. In such a situation, the mental stress and frustration affect the mind and body and lead to physical manifestations of the stress, such as headaches and chronic pain. The tendency for the body and mind to be in homeostasis is thwarted when frustration and stress become normal. Floating is the Not Doing of stress. 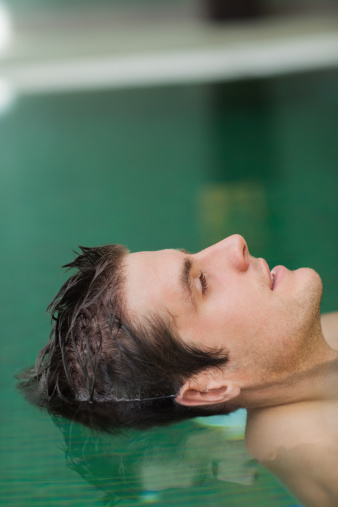 When floating, the mind has nothing to be stressed about because the body is completely supported and stabilized. The energy that is normally put into processing light, navigation, and thermoregulation, is dramatically reduced. Therefore, the energy can be put into healing. Mental patterns or neural programming that started years earlier, can be addressed without a person even realizing it. Many clients, for example, report that they have memories from many years earlier. The reason is because something is being sorted and resolved that is getting in the way of homeostasis. The next time you think, “What can I do to stop the stress and pain,” take a deep breath and remember floating. Pick up the phone and make an appointment to Not Do.